I’ve written in the past about how home sizes have changed over the past 60+ years and how it reflects the overall expectations of American society. My last post on the subject was in 2012. Since then, we’ve seen some changes. For one, the median home size of newly constructed homes began to increase. This would make someone think that the housing crash didn’t have as much of an impact on the way Americans viewed affordability as we originally thought; however, to fully understand this trend, a person needs to look at the whole picture. The Great Recession made it more difficult for first-time buyers to enter the real estate market, despite programs created to fuel housing sales. The hardest hit were the young people who went through college in the early 2000s only to graduate into a job market where there were no longer enough career positions to sustain them. Burdened with student loans, they were forced to move back in with their parents. Only now is that segment showing an increase in home purchases. While the first-time home buyers faced an increase in obstacles, the buying power of people “moving up” remained relatively steady. So, larger homes and luxury homes continued to be sold driving the median home size closer to 2,500 sq.ft.. That’s close to the ideal home size right before the recession hit. However, the buying market continues to change. More first-time buyers and “Millenials” are making their way into the real estate market, and they’re bringing their recession experiences with them. 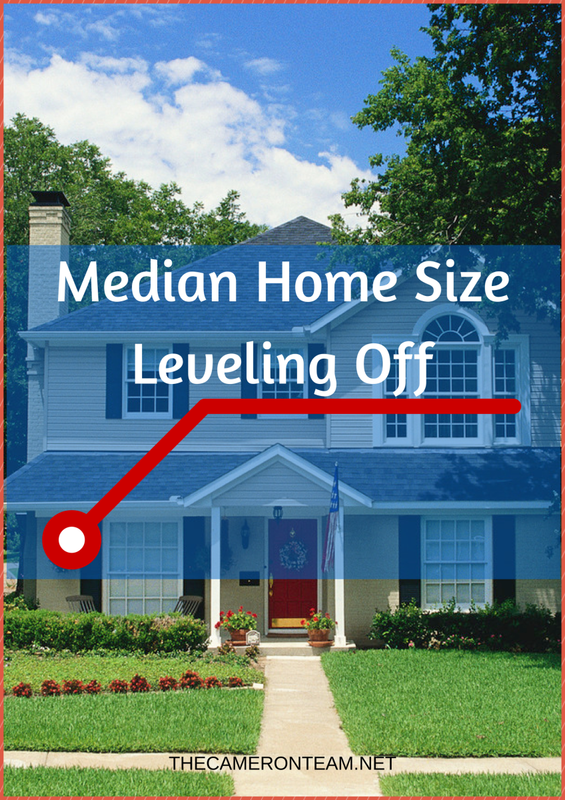 That means more modest new homes are being built, which is causing the median home size to level off. Will this eventually push the median home size down? Only time will tell. Did the recession affect how you buy? Is your next purchase a move-up or downsize?